An informative discussion about Lean, Six Sigma and the value your company can receive from these two Continuous Improvement Programs. The speakers will also review how to obtain ISO Certifications (ISO-9001-2015, ISO-13485, AS-9100), the value of them, and the impact on your operation. We have been very busy working to benefit manufacturers. Check out our accomplishments! The mission of the Rhode Island Manufacturers Association (RIMA) is to be the unified voice of Rhode Island’s 1,600 manufacturers. 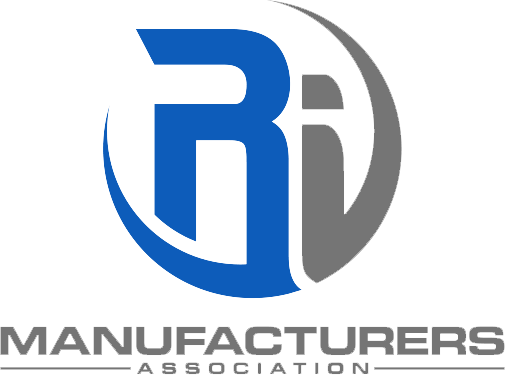 The Rhode Island Manufacturers Association advocates at the federal, state, and local levels for sensible policy solutions that strengthen Rhode Island manufacturing, and serves as a bridge connecting RIMA members with the resources they need to compete and grow. “Most of our manufacturers are small businesses too. For every Electric Boat, there are dozens of smaller manufacturers like FarSounder in Warwick and Swissline Precision in Cumberland. Last year, manufacturing companies created 1,500 new jobs. My dad spent his career in manufacturing, and making a living making things gave him so much pride. There are 1,600+ manufacturing companies in Rhode Island. Rhode Island boasts a very diverse industry mix of both large and small manufacturers. The majority of Rhode Island manufacturers are S corps or other flow through entities (taxed at individual level not corporate). Nationally, manufacturing is the nation’s main resource for innovation. Manufactures in the United States perform two-thirds of all private-sector R&D in the nation, driving more innovation than any other sector. Rhode Island Manufacturers Association (RIMA) – A strong and effective voice for Rhode Island manufacturing.